Bad Tad, MD » To Room 11, Stat! Tense story. Sounds like you have a great team and with a great leader. Great story and your feelings afterward really touched me. This is the perfect month to feel more gratitude for what we have in this country in the way of good doctors, etc. and freedom. Thank you! 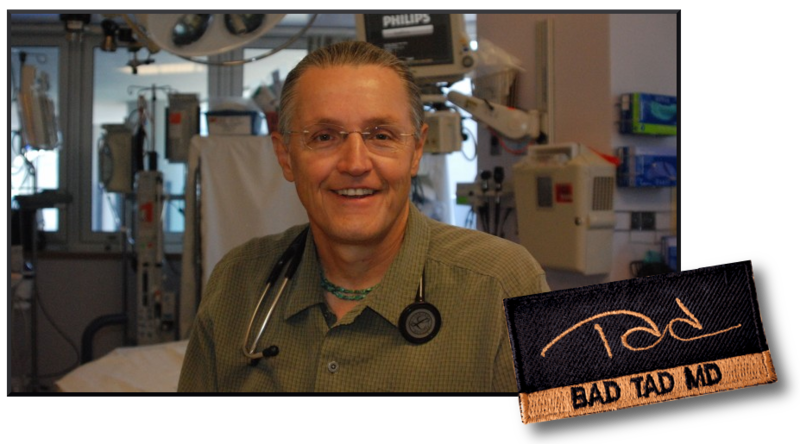 We appreciate having you on our team too Dr. Tad! Great job!!! And thank you!! Tad, what a revelation of the work you do every day. It is a world that is difficult for me to identify with. Even after all the stories you have written here and told me in person. You have a cool head and you were designed for this great calling. Good job mister. I am glad I know you. You cause my life to be more precious to me because of your insight.